It hurts to move, and hurts to stay still. Between the burning, numbness, and electric shock-like agony, you can barely make it to the kitchen for breakfast. You might be able to get by with painstakingly slow, small movements. Or the pain may feel so brutal that you can’t walk without a cane… and maybe not even with one. There’s absolutely nothing your doctor can prescribe to really erase that intense shooting sciatica pain. He may throw steroids, muscle relaxers, anti-inflammatory drugs, antidepressants, even potentially addictive narcotics (like Vicodin and Percocet) at the problem. And more doctors than ever are prescribing Lyrica and Cymbalta—but neither brings true relief, though they can cause some seriously scary side effects. But there is something that will help, bringing you profound relief from even chronic sciatica pain. 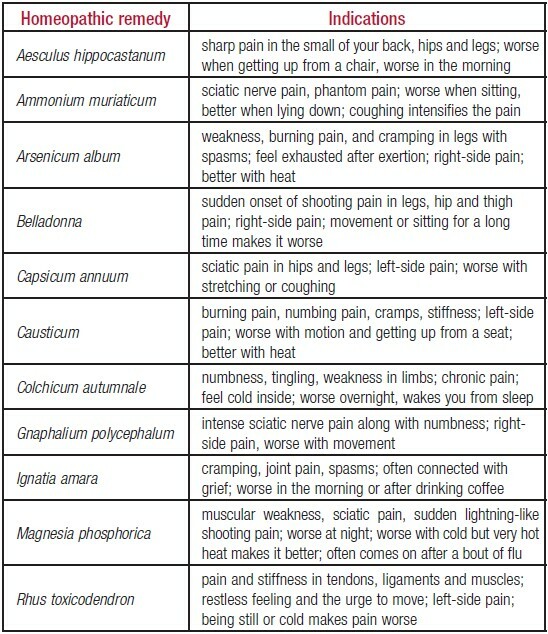 Tiny drops of healing power ease even the most crippling sciatica pain, bringing an end to your suffering. They can mask the pain, if you take them ‘round the clock. But they can’t solve the problem, or offer real relief from all the symptoms that come with sciatica. And they can leave you in worse shape than before you took them. When your choices seem limited to powerful narcotics, gut-wrenching anti-inflammatory drugs, and frequent steroid injections, a “wonder drug” like Lyrica or Cymbalta could feel like a lifeline. But these two drugs are far from wonderful… and it’s no wonder that neither is approved to treat sciatica pain. Their benefits are virtually nonexistent, and their risks read like a horror story. Both can cause very dangerous emotional effects like increased chance of suicide, worsening depression, and panic attacks. Both can bring on signs of cognitive decline, and they can also cause some very alarming physical symptoms as well. Risking seizures, tumors, death all for little to no true relief? If your doctor offers up one of these Pharma disasters, smile politely and leave the office. And consider trying this slightly weird but highly effective and totally safe alternative. In Western medicine, more is more: If you need more relief, you take a higher dose of medicine. Homeopathy does the opposite. Homeopathic remedies are very highly diluted in water (or alcohol), and more diluted means more power. For example, a 6X remedy (X as the Roman numeral for 10) starts out as 1 part remedy in 9 parts water, then gets diluted in the same proportion 6 more times. So a 6X remedy means 1 part remedy in 1,000,000 parts dilution. And that’s considered a low potency dose! I’ll admit it—it sounds like crystal ball, voodoo, quack medicine. But there’s a reason homeopathy has been around for hundreds of years. It works (even though the way it works seems a little crazy). Homeopathic remedies each work on very specific vibrational frequencies, and the one that connects with your particular constitution can fix what’s wrong, fast, without any side effects. The right remedy will resonate with your body… even if that specific remedy doesn’t work for other people with what seem to be the same symptoms. But unlike Western or herbal medicine, these remedies don’t really act on specific biological pathways to treat symptoms and diseases. The approach is completely different, acting instead on your whole person and how your symptoms affect you. Even when mainstream medicine has no solution, and all their questionable prescription drugs leave you feeling worse than ever… homeopathy makes sciatica pain fade away. Classical homeopathy works on a very small scale: Not only are homeopathic remedies diluted to miniscule levels, but they are traditionally prescribed to one patient at a time, in one potency at a time. But Dr. Frank King, founder of King Bio and Dr. King’s Natural Medicine, pioneered a more encompassing approach. At the core of his philosophy lie homeopathic formulas containing several remedies in high potencies to synergistically treat a wider spectrum of core symptoms. And that means a better chance that they will bring relief from whatever is ailing you, even something as painful as sciatica. Dr. King’s Natural Medicine Sciatic Nerve Formula™ is a comprehensive blend of eleven remedies housed in a Bio-Energetically Enhanced™ pure water base. This formula contains equal volumes of each ingredient in three separate potencies: 10X, 30X, and LM1 (the LM means 50,000 times dilution, a very powerful potency). With eleven ingredients of three potencies each, you get 33 individual remedies in one formula to relieve your sciatic pain. And each remedy focuses on your sciatica in a slightly different way, with one virtually sure to match your vibrational energy. Each individual homeopathic remedy in this formula offers a different healing vibration, specific to one of the many different ways sciatica can unfold. And once you start taking it, the right ingredient for you will resonate through your system, and your sciatica will begin to disappear. Janis Gritson suffered with sciatica symptoms for years… until she stumbled across King Bio Sciatic Nerve Formula™. Sciatica pain can cripple you, and it can last for months, even years. Even if you’ve tried taking medicine with no luck, don’t despair. Sciatic Nerve Formula can bring true and profound relief from even your worst symptoms. If you’ve never used homeopathy before, it can be a little weird, because the dosing is personal for you. For the best results, take your remedy at least 10 minutes before or after eating or drinking. And unlike pharmaceuticals, you don’t increase the dose to get more out of your remedy—you increase the frequency of the doses. King Bio homeopathic remedies come in spray bottles. Before you take your first dose, pump the sprayer a few times to prime it. When it’s ready, bring the bottle right up to your mouth and spray three full pumps (which equals a single dose) under your tongue. How often you repeat the dose depends on you. In general, the manufacturer recommends taking one dose (three pumps), three times per day. When your symptoms improve, you can cut back to twice daily, then once daily, until you don’t seem to need it anymore. If you are in severe pain, you can take one dose every ten minutes or every hour (depending on how severe it is) until you start to feel some relief. Then you could return to the three times daily dosing schedule. Dr. King’s Natural Medicine brand Sciatic Nerve Formula costs US$19.99. HSI Customers will get an exclusive 20% discount on orders placed from September 15 through November 30, 2013. Simply use code 20HSC13 when you order.